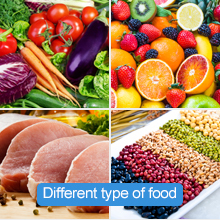 How to prevent the growth of bacteria from your food and keep them fresh? 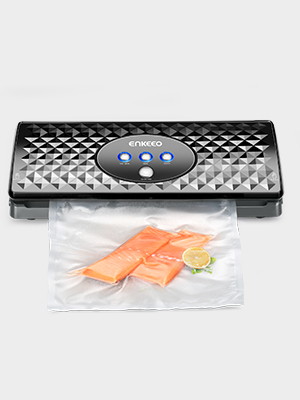 A portable vacuum sealer offers a simple solution. 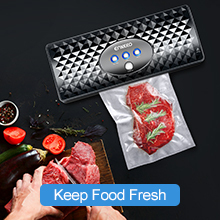 With a slim design and 4-button operation, the ENKEEO vacuum sealer can automatically empty the air from the bag and seal it tightly in 20s. 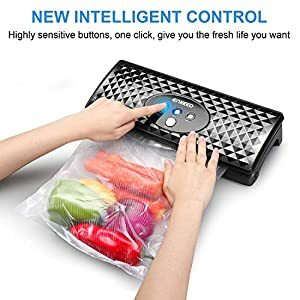 No matter your goal is to keep ingredients fresh, to save space in your refrigerator or to prepare the meal for travels in advance, a vacuum sealer is always an essential. Inspire proactive participation in the outside world through sports, fitness gear. Strengthen the bond between man and nature. 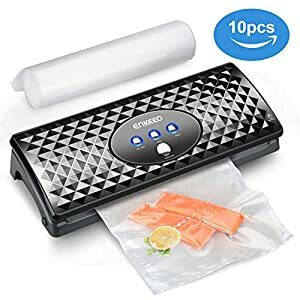 The food sealer has 3 modes and 1 extra hose attachment especially for sealing canisters, jar lids, wine stoppers and more. Auto mode is basically for solid food & material, like nuts, potatoes, and clothes. The sealing mode will seal the pack without exhausting the air. In the moist mode, the machine will control the vacuum pressure to keep your delicate items, like cake, from crushing. 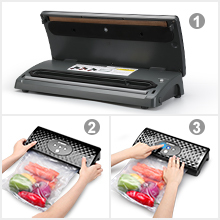 With a vacuum sealer, you can prevent the growth of bacteria from your food and keep them fresh with ease. A vacuum sealed food can be preserved up to 7 seven times longer than those kept in zipper bags. Moreover, the package includes 10 bags for your first vacuum sealing journey. 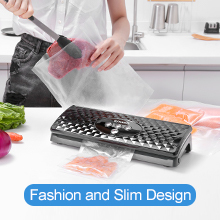 Lightweight and compact, the vacuum sealing machine can be placed on any countertop and suit most of the kitchen decors. Features a multi-protection sealing system, this food saver won’t overheat, has a longer service time and safe to use. Finally, it is easy to operate with the side-lock buttons. Only by pressing 1 button, the machine can empty the air and then seal the bag quickly and quietly. This machine can vacuum and seal a continuous of 15 bags without any halt. They are great for sous viding choice vegetables, make batch cooking a breeze and keep food sanitary in a fridge.